We're back with the Highland Remodel! Yesterday we revealed the kitchen, and today is the beautiful master bath. 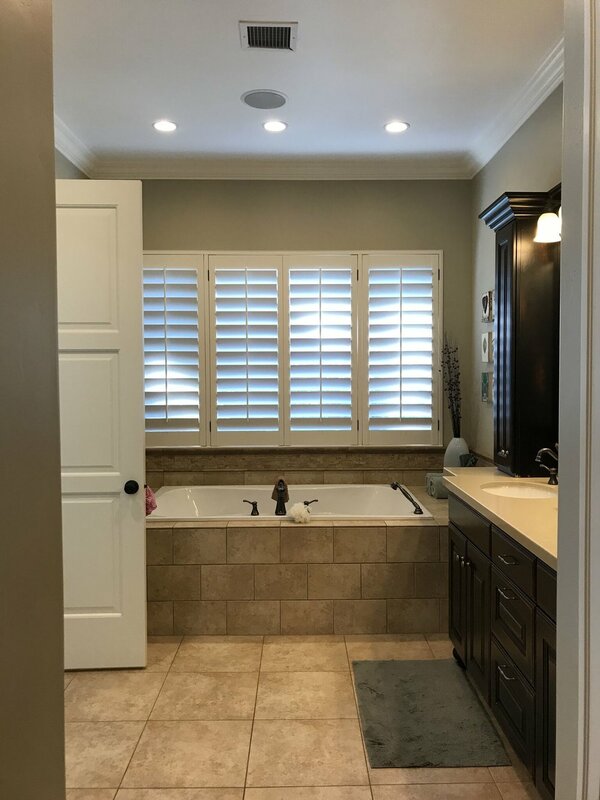 Like the kitchen, our clients wanted to move from dark to light and make their bathroom a light, airy retreat. Their must-haves? Double shower heads, tower storage on the vanity and we're really glad they went for a freestanding tub! 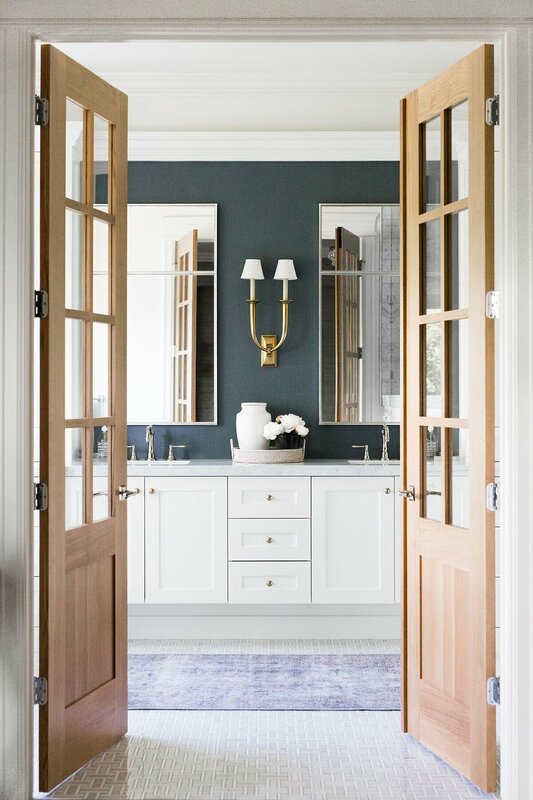 The doors elevate the space to make it feel like a true getaway. We looked through a lot of inspiration photos and drew up multiple options until our team settled on the perfect proportions. The great thing about going custom is getting the stain color juuuust right. When you walk in, you're greeted by our beautiful French Deco Horn Sconce. 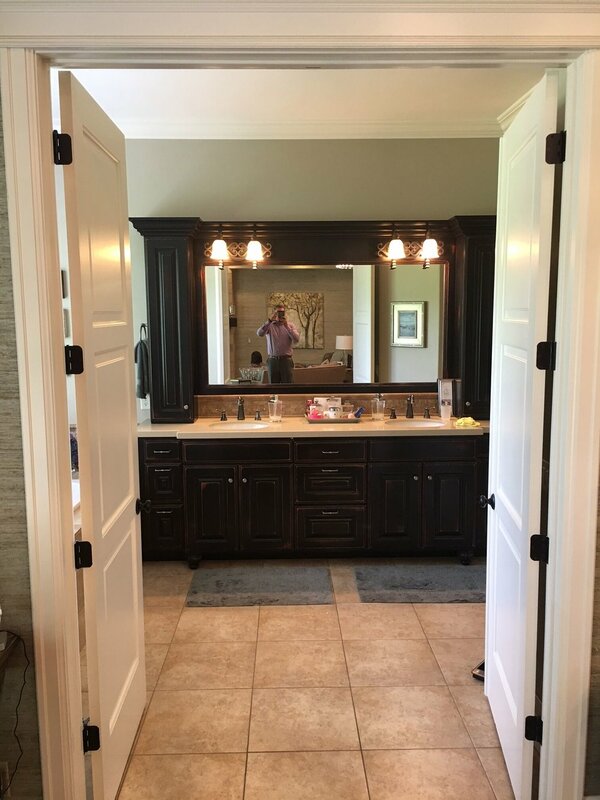 The large space between the mirrors allowed for a double armed sconce. We love how the O'Connor Mirrors pair beautifully with the graceful curve on the sconce. 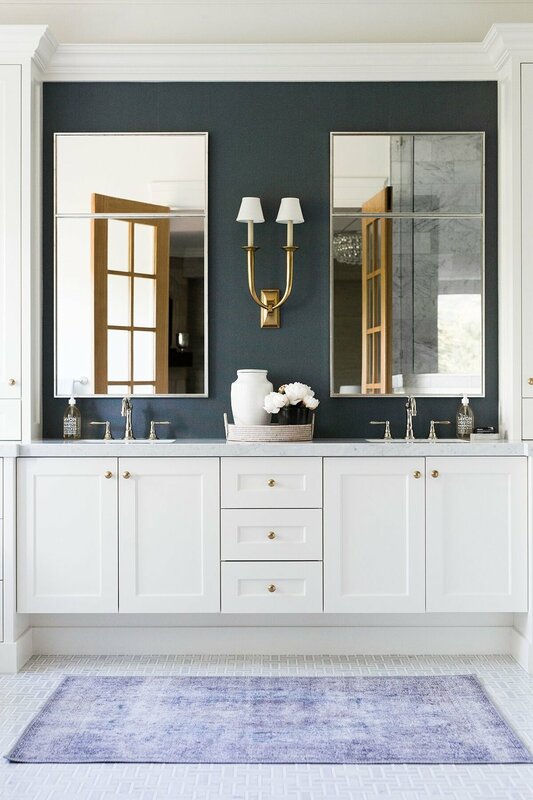 The dark grasscloth is a stunning and an unexpected touch in an otherwise white bathroom. Does it get more classic than a marble basketweave? It does not. We love the pattern paired with the simple freestanding tub and elegant polished nickel fixtures. Every tub needs a little storage nearby and the Pueblo basket does the trick. We also layered a Rockaway Bath Towel under an Avila Hand Towel for a spa-like effect. We love the texture in the Avila Bath Collection.